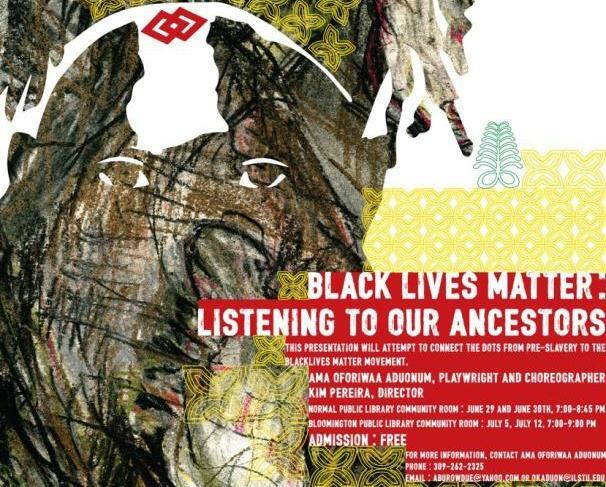 Detail of a poster promoting performances of "Black Lives Matter: Listening to Our Ancestors." On a trip to the west coast of Africa, Ama Oforiwaa Aduonum, a music professor at Illinois State University, was haunted by her visits to dungeons built by slave traders to house captives before shipping them off to America. For Aduonum, the dungeons represent the last moments of African identity for those who would soon be ripped from their homes and transported to an alien land where they would be forced to forget much about who they were. "They went into those dungeons as free Africans and they came out as slaves," Aduonum said. 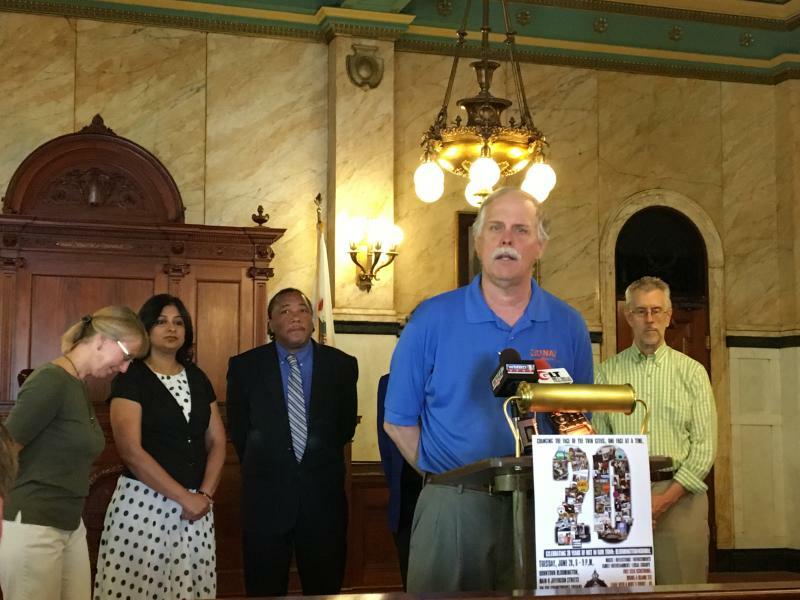 Aduonum said it is a part of the African American experience often ignored. "Oftentimes we hear about the Middle Passage (Atlantic crossing). We hear about life on the plantations, but most people don't even know that there exist on the west coast of Africa about a hundred of these buildings that housed slaves before they were shipped across the Atlantic," she added. In music and poetry, Aduonum tries to recapture that identity -- before African citizens became American slaves -- in an original play she calls "Black Lives Matter: Listening to Our Ancestors." Aduonum said today's Black Lives Matter movement cannot be considered outside the context of the African American slave experience. "I would like the audience to listen to the pain, the wounding, the struggling these people are expressing . .. and then based on that I hope people are able to make a connection between what happened centuries ago and what is happening now," she said. "For me, the violation of black bodies has been on -going for a very long time. And once we realize this is a systemic, historic problem in our society, we may take a second look and have a different dialogue." The show isn't just for African Americans, Aduonum added. "This is American history, this is world history. This is about human issues, violence, dislocation and loss." The play will be performed Wednesday June 29 and Thursday June 30 at 7 p.m. at the Normal Public Library. There are performances on Tuesday July 5 and Tuesday July 12 at Bloomington Library. All performances are free. Aduonum said there will be a chance for the audience to discuss the themes of the play with the nine-member cast after each performance. Listen to the full interview and hear a song and a poem from the play. The play is sponsored by the Social Justice Fund of the Unitarian Universalist Church of Bloomington.